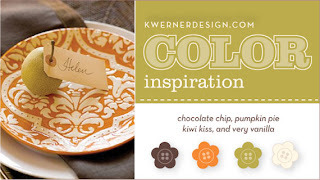 I know I have posted this creation before but I wanted to enter it in the Kristina's color inspiration # 24. I just love these colors!!! I did not have time to make something new. I was just lucky that this had all the colors in it. I took another picture in better lighting so all the colors would pop. You can see the original post here. Sorry for the duplicate post but I just love to enter challenges when I can. I will try to update something new soon. Thanks for checking in. Have a great weekend!!! Those are great fall colors! I got my new background at www.cutestblogontheblock.com They have some really neat stuff there! Check it out! Have a super weekend! I love it! Great project! So glad we were able to get together yesterday and spend some time enjoying the absolutely beautiful weather. Let us know when we can keep Cassie for you! This is so cool. how did you make that.